THE OMBUDSMAN FOR Children, Emily Logan, has called on the Government to keep records of the educational experiences for children in care. It comes following the publication today of a study Education of Children in Care in Ireland: An Exploratory Study. Ms Logan said that although children in care can have positive experiences from education, they face significant challenges, including attitudinal barriers, placement breakdowns, inadequate care planning and review, and shortfalls and delays in assessment. These issues mean that children in care are at higher risk of suspension, exclusion, absenteeism and early school leaving. 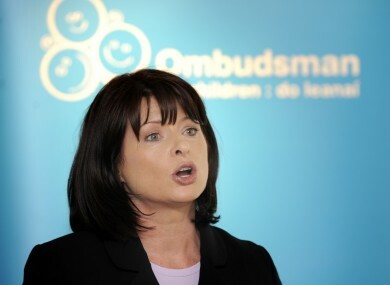 “Given that there are currently 6,300 children in the care of the State – a relatively small number of children relative to the overall population of children living in Ireland” Ms Logan said it shouldn’t be difficult to do more to support them. The report also made a number of recommendations including the development and implementation on an inter-agency action plan focused that would strengthen the educational opportunities for children in care; training for carers and professionals to assist children with education; specific approaches that would help support attendance, participation and attainment in education by children in care; and opportunities for children in care, and their carers, to express their views about issues that affect them, including care planning and their education. Ms Logan added: “When the circumstances and experiences of children in care come under the spotlight, the focus is often on matters relating to their safety, protection and welfare. While work to identify, highlight and address shortfalls in this area is vital, we should be mindful not to overlook or neglect other significant areas of these children’s lives. Email “Children in care more likely to be 'suspended, excluded and leave school early'”. Feedback on “Children in care more likely to be 'suspended, excluded and leave school early'”.